Franchising has been around for many decades, and as the industry evolves, new lessons can always be learned from all the new entrepreneurs growing their businesses from one to many through franchising. But one rich source of lessons goes back to when one of the largest franchise brands started—McDonald’s. 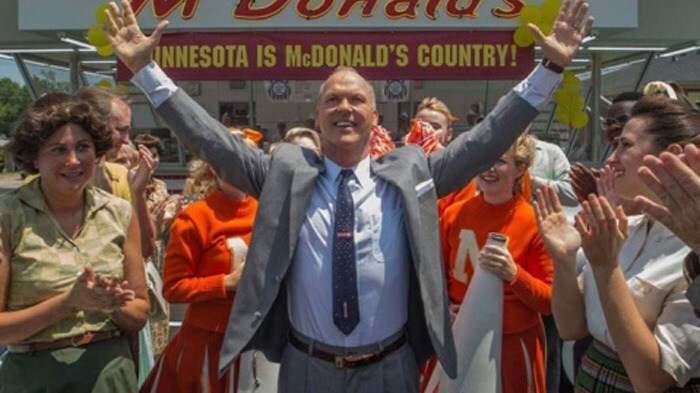 The Founder is a movie of how Ray Kroc (played by Michael Keaton) grew the business into a multi-billion dollar fast food empire. In it are a lot of success lessons and pitfalls that would-be franchisors should think about as they build their franchise business. When Ray Kroc first looked for franchisees, he looked for rich individuals who could put in the money to build the business. But as he found out soon enough, these were not very well-run, and the owners were not interested in any aspect of the operations. When he shifted to finding more owner-operators, he was not only able to scale to many new stores, he ensured that each store was run the way a McDonald’s should be run. Franchisees are owners just like yourself. They are in the front lines and may sometimes be closer to the customer than you. As such, franchisees provide a rich source of ideas and improvements that you may miss out on. As a franchisor, it’s always best to create formal communication lines where ideas can be channeled to you, and where you can then evaluate and test out the best ideas. Though not shown in the movie, one of the biggest product innovations of McDonald's—the Fillet O’ Fish—was actually created by a franchisee finding a way to keep sales strong during Lent when Catholics abstain from meat. When most entrepreneurs hear the word innovation, they turn to their marketing team and ask for new products. But as The Founder showed, the biggest innovations can come from solving pain points. The McDonald's speedy system, where burgers are consistently churned out every 30 seconds instead of 15 to 20 minutes, was McDonald’s first big innovation. They had to practice the system in a tennis court where they used chalk to draw the various stations and ran timed trials until they perfected the system. Although franchising is about replication and standardization, it’s critical that you don’t become overly rigid and inflexible. When Ray Kroc proposed using powdered milk shakes to the McDonald brothers, they hang up the phone on him instead of listening it out. The innovation could save franchisees and operators thousands of dollars in electricity bills, but the brothers did not even want to consider it. As a result, Kroc still proceeded with using the new powdered milk shakes and the brothers could not do anything about it. As Kroc grew his business, his income continued to remain stagnant. The agreement he signed was so one-sided that he could not make decent profits to pay his loans or properly run his operations. As a franchisor, it’s always tempting to maximize your own income, but this is very short-sighted thinking, as eventually, franchisees will get frustrated if they only see your business growing but not their profits. This may bring good profits in the short-run, but as the McDonald's brothers learned at the end, franchisees may either copy you, or worse, maneuver to buy your business from you. As a franchisor, investing in the time to build a strategic plan that balances profitability between you and your franchisee creates the foundation of a long-term partnership. Franchising has evolved since the early days of McDonald’s, but the fundamental lessons that the movie shares are still highly relevant today. And as McDonald’s has shown, when you get the fundamentals right and you pair this with a bold vision of growth, franchising can transform one small store into a multi-billion dollar empire with thousands of store globally.